This book is a loving way to help a young child understand what is happening to a parent who is fighting cancer. It's written by a mother (with a young child) who has suffered the loss of her own mother through cancer. Please help me welcome Aurora Whittet on Library of Clean Reads. Learn more about her through my interview and enter to win a copy of this very useful book! Mama's Knight is a beautiful book. It provides a loving way to help a young child understand what is happening to a parent who is fighting cancer. Written by a mother (with a young child) who has suffered the loss of her own mother through cancer, this book fulfils a need for those families who are fighting cancer and want to empower their children during this difficult time. 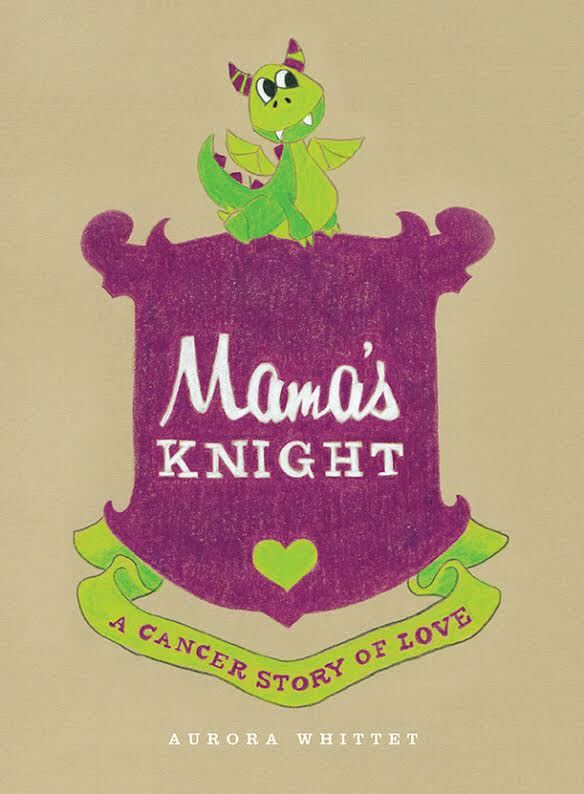 Mama's Knight is an interactive book that will later become a book of memories. My 12 year-old son and I looked through every page carefully. I told him to imagine he was a little younger and I was fighting cancer. Would this book help? After turning the last page I could see my son was touched. "This is a really good book, Mom," he said. We both agreed we had never read anything like it. We discussed how the information about cancer that the author included was appropriate for young children. We loved the clever expressions included to help children (or anyone) understand the symptoms and emotions this illness could bring out, such as "mad as a wet hen" or irritated as a goat". The activities included were fun and easy to do. And we could see how doing them together would make parent and child bond in a special way during this time. My son and I thought the illustrations were perfect: simple and colorful pictures of people and families from different nationalities. The book is honest in the way it deals with all aspects of what it means to fight cancer, from the treatment plan to feeling scared. But it reinforces and boldly expresses a mother's love for her child and how that child is a shining knight that helps her fight strong. This book should be known by Cancer Associations so that they can recommend it as a toolkit for mothers of young children who are fighting cancer. However, if a person is fighting cancer without the conventional methods (radiation, chemo) but is using integrative medicine, this book may still be adapted. Actually, I can see this book's format being used to create a series of books using Whittet's toolkit method written for various illnesses, including diabetes, AIDS, depression and stroke. Kudos to Aurora Whittet for providing this beautiful tool for mothers and their children! My son and I were impressed and we highly recommend it for families who would benefit from it. Disclosure: Thanks to the author for sending us this book for review. We were not told how to rate or review this product. LCR: How would you describe your book in 20 words or less? 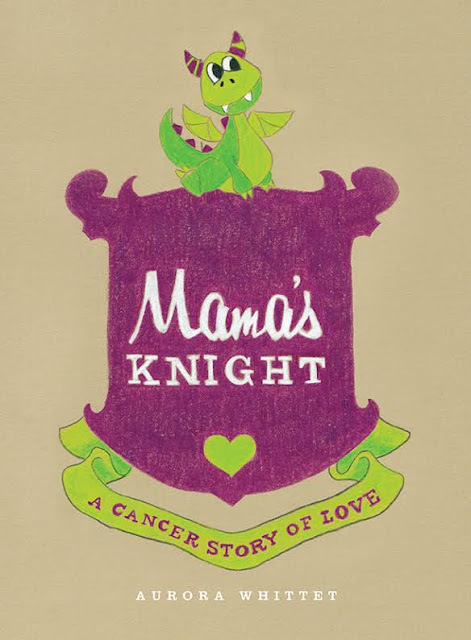 AW: Mama’s Knight is an emotional toolbox that helps kids and parents communicate about mama having cancer. LCR: What is your hope in publishing this emotional toolbox for kids and parents dealing with cancer? AW: I want to help connect moms back to their children even when they can't get out of bed. I want to give them ways to spend time together and talk about the emotions that go along with this journey and give a tiny bit of hope back to a very serious and stressful situation. LCR: I found your book to be very empowering both for the child and the parent. How important do you feel it is for children to be aware of what is happening when a parent has cancer and why? AW: Children of every age need some sort of communication about what is happening. Younger children obviously need less details, older children crave more. If you don't tell them anything, they still feel and see the stress and changes, but they may blame themselves for mom not wanting to play that day, instead of understanding why and being able to express that they are frustrated or sad about it. The Angel Foundation has some amazing resources on what to say at each age group. LCR: You've written a successful YA trilogy and a children's book. What's next for you? AW: I'm working on a new YA book that I'm utterly loving, and I'm working on the daddy version of Mama's Knight, because daddies get cancer too. AW: I lost my mom in 2013, so I would go back to the moment when my mom was diagnosed for the second time with uterine cancer and I would say pack your bags, lets go somewhere amazing. And I would have taken her on a fun trip before she became to weak to travel. We kept saying we'd go when she felt better, but that day never came for us. So live in the now, because tomorrow isn't a promise. 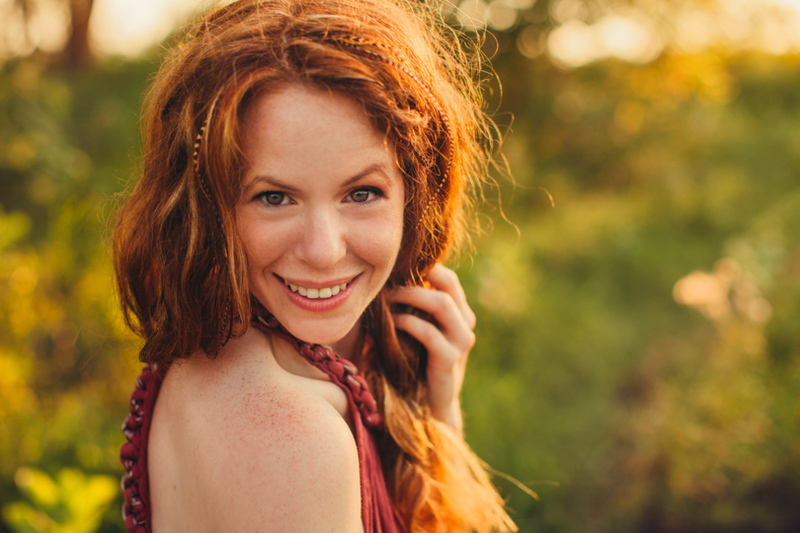 Aurora Whittet started out as a wild red-haired girl in Minnesota dreaming up stories for her friends to read. Today, she has completed Bloodmark, Bloodrealms, and Bloodmoon of the Bloodmark Saga trilogy and started her journey into children’s books with Mama’s Knight in honor of her own mother who lost her battle with cancer. She’s a national award-winning graphic designer and birth doula in her day jobs. Aurora lives with her family in Minnesota. This book would be a treasure which I would cherish. Meaningful, beautiful and important. I was diagnosed with breast cancer in 2012 so this resonates with me greatly. Thanks. So glad to see that you're a survivor! Thanks for stopping by.